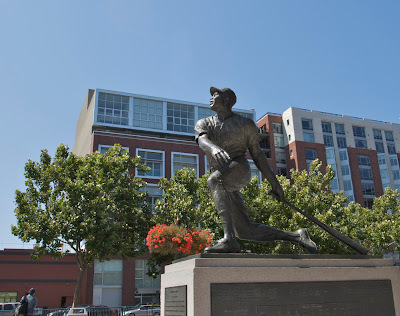 Here is an edited version of the shot I took of Willie Mays at AT&T Park the other day, with my new lens. This is much more what I was going for. I tweaked the shadows and highlights a bit to bring out more detail in his uniform, cropped it to add more drama, and removed that distracting street light and an antenna on the top of the building across the street. Enjoy!